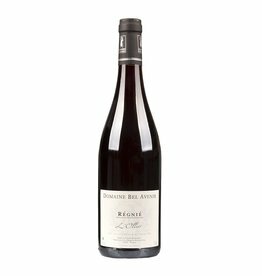 The Domaine Bel Avenir, which by the way means "beautiful future", is managed by the Dardanelli family in the third generation. Beaujolais Villages and Chenas were the first vineyards of the estate. Over the years Brouilly, Julienas, Morgon, Moulin-A-Vent, Fleurie, Régnié and Saint-Amour followed. Alain Dardanelli produces intense and clear Gamay wines, which have nothing to do with the impassive Beaujolais Nouveau. After the slow fermentation in concrete and stainless steel tanks, the wines ripens in wooden barrels until they have the best structure and are suitable for filling. 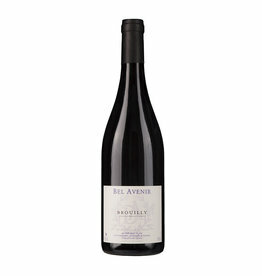 All the Beaujolais of the Domaine Bel Avenir are made to last in the bottle . They can easily get 5 years old, many of them also significantly older . These special wines combine the pleasant ease, which is so typical for Beaujolais, with the depth and complexity of wines from (mostly) old vines. Discover Beaujolais again!